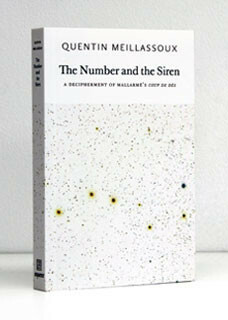 My dad gave me a book on my birthday called The Number and the Siren: A Decipherment of Mallarme’s Coup De Des, written by a French philosopher named Quentin Meillassoux. He thought it might be interesting for me since the publisher described his work as “a detective story à la Edgar Allan Poe,” and I love detective stories. It was indeed a very fun and exciting book. But when I finished reading it, I was also left with a lot of questions whirling in my head. When I talked with my dad about them and he told me it was very important that I write these questions down. So that is what I am going to do here. In this book, the author tries to decipher a famous poem that the French poet Stéphane Mallarmé wrote in 1897. The poem is called ‘Un Coup de Dés jamais n’abolira le Hasard,’ which means ‘A Throw of Dice Will Never Abolish Chance’ in English. It is a very strange poem with words and sentences placed in different parts of the page, and not all lined up neatly like other poems usually do. Mallarmé’s work is very famous, but it was also a mystery for a long time because nobody really understood what he wanted to do by writing like that. Meillassoux says that he is the first person who has succeeded in decoding the secret of the poem, and that is what he explains in this book. From what I understood, I think Meillassoux’s detective work tried to solve two mysteries at once. One was the question of “what did Mallarmé try to do in his poem?” and the other was the question of “why was Meillassoux able to decipher the secret of what Mallarmé tried to do in his poem?” Meillassoux says that both of these questions have the same answer, which is the ‘absolutization of chance.’ ‘Chance’ is a word that describes the possibility of how things could have been and can be completely different from what it is now. ‘Absolutization’ means that that possibility of being different is true for everything, and that that is the only thing that is true for everything (my dad told me that this problem of ‘absolute chance’ was something that Meillassoux also wrote in his previous book called After Finitude). Meillassoux discovers that both mysteries have the same answer, but that is not the only thing he finds out. Because they have the same answer, he thinks that the two mysteries are actually the same question. That is why he says that the second mystery of how he was able to decipher Mallarmé’s secret by chance, was already written inside the first mystery of what Mallarmé did in his poem, since Mallarmé’s poem is all about chance. But here is where I became puzzled: How can Meillassoux claim that both Mallarmé’s secret and his discovery of the secret be about absolute chance? Wouldn’t the idea of ‘absolute chance’ destroy Mallarmé’s secret when you think of it in relation to Meillassoux’s detective work, and vice versa? I will try to explain why I think so. Meillassoux finds the number “707” working like a secret key in Mallarmé’s poem. He counts all the words in the poem and there are 707 of them. He also says that the way letters are placed and the order of the poem are also decided by using the number 707. That is why the number “707” is very meaningful. But because Meillassoux wants to say that chance is also important in Mallarmé’s poem, he adds two other things here. One is that if he counted slightly differently the number would have been other numbers close to 707, like 705 or 706. The other thing is that in the case that the count ends up in a number other than 707, his entire theory about the secret number would have been completely meaningless. Meillassoux says that this is how Mallarmé put chance, which is the possibility that things could have been completely different, into the core of his poem. But I think that if everything could have been different, the secret number could have been any other one, and be as meaningful as 707. The same thing can be said about Meillassoux’s discovery of Mallarmé’s secret. Because if everything could have been completely different, the possibility would have not only been that Meillassoux might have never discovered Mallarmé’s secret. A stronger ‘chance’ would be the possibility that Meillassoux might have discovered any another work, and found a secret that was as meaningful as Mallarmé’s. Now this is a bit funny, because for me, Mallarmé’s title of the poem precisely explains this stronger ‘chance,’ especially when it is shortened as ‘Un Coup de Dés’ or ‘A Throw of Dice,’ like Meillassoux does many times in his book. The title can then be read as: “A Throw of the Dice” (written by Mallarmé, and decoded by Meillassoux) will Never Abolish Chance. I agree with Mallarmé, if this was indeed what he wanted to say, because I believe that the “wager system” Meillassoux says the poet put into his poem, by which he means the system of betting on the possibility that the secret of an artwork might be decoded long after the author dies, is not at all unique to “A Throw of the Dice.” I think instead that such system is true for all (or most) works of art. So if things can be totally different, not only the secret code of Mallarmé’s work might not have been “707,” but Meillassoux’s book might not have been on Mallarmé’s secret to begin with. Not thinking about this possibility is to rely on “absolutization by chance,” rather than admitting the consequences of “absolute chance.” That is also why I think the answers to the two mysteries do not fit well with each other. If Mallarmé’s chance is absolute, Meillassoux’s discovery is not, and if the chance in Meillassoux’s discovery is absolute, then Mallarmé’s secret is not. But Meillassoux doesn’t write about these things, about why he places an odd limitation to just how much he absolutizes ‘chance.’ He does say that the strange logic of what he calls ‘retro-action’ might explain things: that the result of his discovery itself explains the arbitrariness of Mallarmé’s work backwards front. But for me this sounds like a bad science fiction or something, and it feels like cheating. I think there is a more simple reason for why Meillassoux does not write about this. It is because he does not write at all about how he writes. The only reason Meillassoux never thinks seriously about other numbers being as meaningful as 707, is because he believes that 707 can be discovered in Mallarmé’s work by pure detective work. But what is a pure detective work? From what I understand, pure detective work is like a book report that you have to write without referring to any other book than the one that was assigned (kind of like what I am doing here). The problem with both is that they have to say two things that do not go well with each other (just like Meillassoux!). The first is saying or believing that whatever the detective or the student writing the book report finds, was always and already there waiting to be found. And this secret must be a secret that can be cracked by doing very simple things that anyone can do, like counting words, or paying attention to a particular paragraph or sentence. But at the same time, the other thing the detective or the student has to say or believe is that somebody had to write about it using words, so that people can actually realize the secret, or something about the book that had not been perceived before. I have read many detective novels but in most of them this second point is never written out so clearly. It is more often just hidden to make the first point seem more important. In my opinion, the way of writing that concerns the second problem which lets the reader see what should have been seen by anyone but actually was not, has a lot to do with ‘rhetoric,’ which is something I learned in my English class the other day. Rhetoric is the way words are used to describe and convince the reader of what is written. If this is usually hidden in detective novels and very logical analysis like Meillassoux, I think it is because they make full use of it. Rhetoric is the secret engine that drives detective novels forward, and that is why they can’t talk about it. Another very interesting book that I read recently was called The Cryptographic Imagination: Secret Writing from Edgar Poe to the Internet. It was written by Shawn James Rosenheim, and it explained how Edgar Allan Poe, my favorite author who created the world’s first detective novels, had a hard time balancing between the logical aspect of language which allows a detective to ‘read’ physical clues on crime scenes as signs on one hand, and the rhetoric that he must use to convince the others about the ‘truth’ of the crime on the other. So detective novels have been deeply connected to and disturbed by rhetoric from the beginning. Going back to Meillassoux, I think when the reader starts thinking about rhetoric of his writing, it becomes difficult to ignore the possibility that there can be other rhetorics connected to other secrets, which can be told in equally convincing way. The absolutization of chance makes other rhetorics as meaningful as the one Meillassoux chooses to absolutize (without knowing or acknowledging so). I think the strange distinction Meillassoux makes between the “real” Mallarmé and “fictive (ideal)” Mallarmé is also related to this problem of him not really considering the workings of rhetoric in his work. This is because from the perspective of rhetoric, any writing is always fictive. And as I learned in my literature class, it was the French poets of nineteenth century including Mallarmé, who did many interesting things with this possibility. For example, Charles Baudelaire was a poet who influenced Mallarmé to become a poet in the first place, and also the person who translated Poe into French. When I read his essay called “The Painter of Modern Life” written in 1863, it was very clear to me that what Baudelaire wanted to do, was to make the painter Constantin Guys and his works exist only inside, or through, his writings. What a strange thing to do! I thought this was a very interesting experiment, especially because I haven’t seen any of Guys’ paintings in real life. So the distinction between real and fictive is much more complicated here than in the simple distinction made by Meillassoux. When I told this to my dad, he said that he thinks this problem extends to Meillassoux’s interest in “truth,” which can be read in his discussion in After Finitude and his relationship to his teacher Alain Badiou. I have not read After Finitude and I don’t know who Badiou is, but dad explained to me that rhetoric is never about truth (Friedrich Nietzsche said that truth is only a part of rhetoric). It is always about persuasion or how language performs itself. I think that even though Meillassoux talks about the performance of Mallarmé’s text, he never really thinks about the performance of his own writing. But for me, that also leaves Meillassoux in a weak place. When I try to see what Meillassoux is doing as a performance, I only see a French philosopher absolutizing another French poet as the greatest thing that happened in the nineteenth century culture. Which strikes me as a very French thing to do. 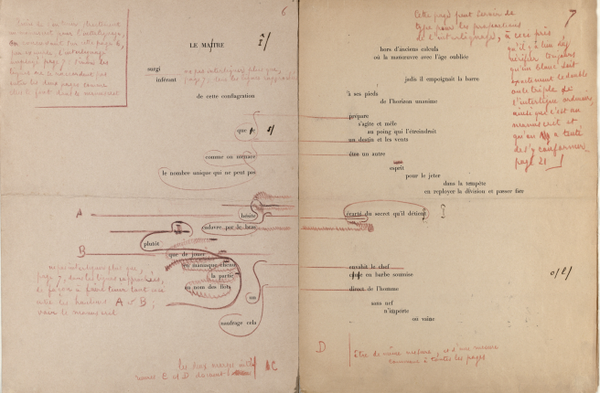 But I think the most important thing about Mallarmé’s work, and what I learned from Meillassoux’s decoding of Mallarmé’s work, was that it didn’t really matter if Mallarmé was French or not. The “wager system” of Mallarmé, his act of throwing himself into the ocean of all the things that would come after him, cannot be contained inside one country or culture. It could even have been some alien that found and decoded his poem. I guess what I am trying to say is that Meillassoux’s detective work is very thorough, but is also weak because it is thorough. The answer to the mystery that he finds can be put like this: 1) there is a definite answer that I discovered, and yet, 2) there is no definite answer. But from what I understood, the absolute result of absolute chance is not in an absolute correctness (of “707,” or Meillassoux’s discovery of Mallarmé’s secret), nor absolute incorrectness (of the complete meaningless of “706” or “705,” or the possibility of Meillassoux not discovering Mallarmé’s secret). The answer is not split between an absolutely meaningful answer and an absolutely meaningless one. Instead, the answer is that there are and can be several meaningful answers. Maybe “7” is much more meaningful then “707,” or maybe “700007,” and maybe Meillassoux or any other person can find likely meaningful secrets in any other artist’s work in other times and other countries. And if this is the answer, then it opens up a new question: how to choose one meaningful discovery over the other, and how to convey that choice in a convincing way to the readers. And like I said, this is a question of rhetoric, which is to say it is a question of “detective stories à la Edgar Allan Poe.” So I guess the publisher’s advertising wasn’t so misleading, after all.